Just-completed research at the High-Frequency Active Auroral Research Program (HAARP) transmitters in Gakona, Alaska, successfully took advantage of the WSPR digital protocol and the Weak Signal Propagation Reporter Network (WSPRnet) on July 30 through August 1. 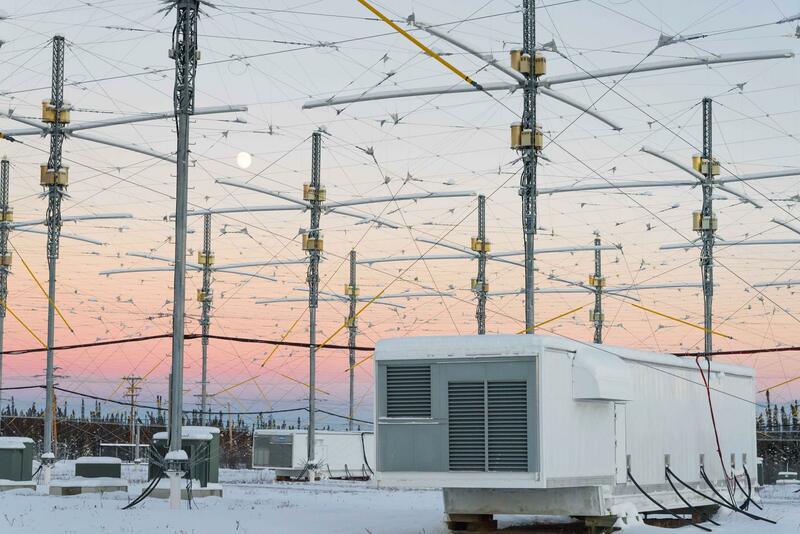 University of Alaska Fairbanks (UAF) Space Physics Group researcher and HAARP Chief Scientist Chris Fallen, KL3WX, told ARRL that the research -- HAARP's fourth research campaign under management of the University of Alaska Fairbanks -- went well. The HAARP WSPR spots map. "My 'citizen science' experiments were funded by the National Science Foundation and were conducted for approximately 30 minutes at the end of each campaign day," Fallen said. "They consisted of 2-minute transmissions using the WSPR digital mode in the 40- and 80-meter bands, with a 2-minute off period between transmissions." He said HAARP transmitted in full-carrier, double-sideband AM because it does not have SSB capability. HAARP operated under its Part 5 Experimental license, WI2XFX, with Special Temporary Authority (STA) from the FCC to transmit on amateur bands. "I systematically varied the HAARP transmission parameters, such as gain, net power, beam direction, and polarization, to see how they affected the reception reports collected in the WSPRnet.org database," Fallen said. "During the 3 days, we gathered more than 300 confirmed reports of signal strength and location from nearly 100 unique participants throughout Canada and the US." Fallen said the spots, collected along with the corresponding HAARP transmission parameters, are available online, (1) and (2). He said the spreadsheet at the second link is editable by the public, "specifically by citizen scientists who want to manually add their spot or other interesting data analysis," he added. "In this sense, the experiment continues." He said that HAARP's low-elevation transmissions on 40 meters resulted in the greatest number of spots. "The most distant spot was located at grid EL96xi, near Boca Raton, Florida, reported by W1NEJ, from a distance of 6,154 kilometers," Fallen said. "Interestingly, HAARP was aimed in the magnetic west direction during that spot." HAARP and the Arecibo Observatory in Puerto Rico are planning to conduct heating campaigns this fall, Fallen noted, although not at the same time, as experimenters are shared. Read more. Amateur Radio volunteers in Indonesia have been taking advantage of the LAPAN-ORARI (IO-86) ham satellite in addition to HF on 7.110 MHz as the Lombok area recovers from two recent earthquakes. The death toll has topped 400. A second powerful earthquake in the area on August 5 killed at least 98 people and seriously injured more than 200 others. Power in the area has been disrupted, and Kardi Wibisono, YB9KA, and Untung "Adi" Riadi, YB9GV, of the West Nusa Tenggara Region chapter of ORARI, the Indonesian national Amateur Radio organization, have been leading efforts to provide communication to areas lacking cellular coverage. That has included hauling batteries to run repeaters taken down by the power outage. Four repeaters are reported to be operating in the disaster area. ORARI Headquarters has asked for more repeater support from its Bali Island region and issued an official request to help with logistics and additional volunteers in Lombok. In addition to designating the HF National Emergency Frequency of 7.110 MHz, VHF frequencies have been established and the LAPAN-ORARI (IO-86) satellite has been activated to assist with communication. Launched in 2015, IO-86 carries an FM transponder and an APRS digipeater. The Central Java Region of the Indonesian Search and Rescue Council sent in a team to join the national rescue operation in Lombok and ORARI volunteers. The National Institute of Standards and Technology (NIST) FY 2019 budget request includes shutting down "NIST radio stations in Colorado and Hawaii," an apparent reference to WWV and WWVH. Radio amateurs, HF listeners, and others around the world routinely make use of the time and frequency standard signals, which also include propagation information. NIST said eliminating funding currently "supporting fundamental measurement dissemination" would include putting WWV and WWVH off the air for a savings of $6.3 million. The overall NIST FY 2019 budget request for efforts related to fundamental measurement, quantum science and measurement dissemination is $127 million, which, the agency said, is a net decrease of $49 million from FY 2018 levels. "The proposed reductions will allow NIST to consolidate and focus on narrower core [fundamental] measurement programs while meeting budget levels," the agency said in its FY 2019 budget summary. "NIST will focus on basic research while reducing funding for efforts applying some of its breakthroughs into new measurement applications. The FY 2019 proposed budget cuts developed earlier this year came to light via Tom Witherspoon, K4SWL, who maintains The SWLing Post website, after a number of viewers called it to his attention. He posted an article on his blog. "I've always considered WWV and WWVH to be the heartbeat of the shortwaves here in North America -- a constant, timely companion and brilliant gauge of HF propagation," Witherspoon wrote. "I assumed both stations would be some of the last to go silent on the shortwaves." "I find this budget request very disappointing," Witherspoon said with respect to the proposed elimination of WWV and WWVH. "Let's hope, somehow, this does not come to fruition." He said The SWLing Post would be tracking and posting any new developments. Read more. In July, Franz Laugermann, K3FL, of Houston, achieved a milestone that no other Volunteer Examiner (VE) has before, by taking part in his 1,000th exam session as a VE. But, he told ARRL, he's far from finished. Harris County Judge Ed Emmett presents Laugermann with a framed proclamation from the County in recognition of Laugermann's accomplishments as a Volunteer Examiner. "As long as I can be here, I'm going to go on doing this. It's so rewarding," he said, adding that he's set his sights on 2,000 sessions. He estimated that he's helped about 5,000 people get their Amateur Radio licenses. At one recent session, a 10-year-old boy who passed the exam became the fourth generation in his family to get licensed through Laugermann, who also had conducted the testing sessions at which the boy's father, grandfather, and great-grandfather earned their ham licenses. Laugermann became an ARRL-accredited Volunteer Examiner in 1991. His wife Barbara, KA5QES, has been a VE nearly as long as her husband. Both are ARRL members. Retired from the US Army in 1975, Laugermann, 78, has been licensed since 1978, has served as an Official Observer for 27 years and is a member of ARES®. 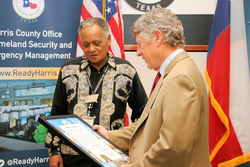 He supported the ARES effort for Hurricane Harvey at the Harris County Office of Homeland Security and Emergency Management's Emergency Operation Center at Houston TranStar. He has been running VE sessions at Houston TranStar for more than 16 years. "I like meeting new people," Laugermann said. Whenever he talks to people, young or old, he always encourages them to give Amateur Radio a try. "I tell them, 'I don't know everything, but I'll tell you everything I do know,'" he said with a laugh. He's taken to telling his recent exam graduates to text him with their new call signs so he can keep an ear out for them when he's on the air. "I'm retired, so I'm on the radio all day long," he said. "Dummy Loads" is the topic of the new (August 16) episode of the "ARRL The Doctor is In" podcast. Listen...and learn! 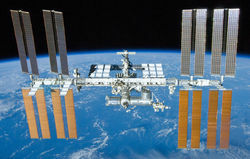 The currently silent packet radio system on the International Space Station could be back on the air by year's end. Amateur Radio on the International Space Station (ARISS) hardware team members have located an original duplicate of the packet module that had been in use on the International Space Station (ISS) before failing more than a year ago, after 17 years of service. With a new battery installed, the unit was tested and found to be functioning. The ARISS packet system in the space station's Columbus module, operating on 145.825 MHz, quit last July after first experiencing some problems. All necessary paperwork has been completed to manifest the packet module on the Progress 71P spacecraft launch now set for Halloween, with docking on November 2. "Installation date will depend on the crew's busy schedule, but ARISS hopes packet can be online again by the end of November 2018," ARISS said this week in a news release. ARISS said it's heard from "many hams" who have been asking when the packet system will be back on the air. When the ARISS packet module aboard ISS died last year, the ARISS hardware team was already overburdened with the design and safety certification of the new interoperable radio system ARISS has been developing, which is set for launch next year. The team did attempt some basic troubleshooting of the old packet module, but was unable to revive it and decided instead to dedicate all of its time to the new replacement radio system, including packet capability. Early this year, thermal testing of the first flight-identical power supply for the new comprehensive radio system showed that some changes to air flow were needed. This change would delay launch of the new radio equipment from late 2018 to early 2019. 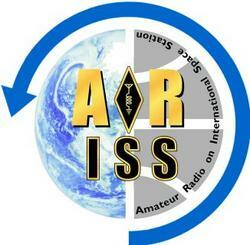 To contribute to the ARISS radio fund, visit the ARISS website and click on the "Donate" button. Outside of beacon signals, 4U1UN, the Amateur Radio club station at United Nations Headquarters in New York, has not been heard on the air since 2015, and only then under the commemorative 4U70UN call sign marking the UN's 70th anniversary that fall. Even then, operation took place in a ground-level garden area within the UN Headquarters complex. That could change soon. The 4U1UN station, once within the iconic UN building, was dismantled in 2010 and antennas removed in advance of extensive building renovations. But room for 4U1UN -- which counts as a separate DXCC entity -- was not allocated in the new building layout. UN staffer James Sarte, K2QI, the president of the United Nations Amateur Radio Club, said in late July that "red tape" has been a roadblock to getting 4U1UN back on the air. "It's taken us years just to get the administration and security to allow us to resume beacon operations," he told DX-World.net. "Security protocols became much tighter after 9/11. And when renovations [for] the Secretariat were completed, staff were no longer permitted to engage in any activities above the [Secretary-General's] floor. That said, we're slowly working to restore operations." Negotiations have been continuing off and on for a few years now, but Sarte says that any notion of returning to staffed operations from the station's former 41st floor annex is a thing of the past. "Any such activity from the club will have to be done remotely from a broadcast booth that was loaned to us by the UN's broadcast services section," he explained. "The good news, however, is that new equipment was recently donated to the club that would make that a reality. The transceiver, amplifier, and associated network equipment are now in place. We also had a dedicated closed network line installed primarily for that purpose." 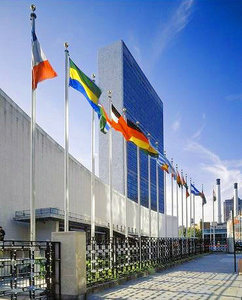 Operation would take place from UN Headquarters grounds. Sarte said the remaining task is to install an antenna and begin testing, which, he estimated, should happen this month. "But I do promise that 4U1UN will be back on the air soon," he concluded. 4U1UN is the 34th most-wanted DXCC entity. Read more. The SJ9WL-LG5LG Morokulien memorial station on the border of Sweden and Norway is off the air after a large tree, brought down during a severe storm on August 10, caused extensive damage to the station's antennas. According to one report, the station's 100-foot tower was broken into pieces after the tree fell across three tower guy wires. That pulled the support structure toward the station building, but a third set of guys on the other side of the tower held and kept it from damaging the structure. The tower has been up for at least a decade. "This is a unique place, because the radio shack is exactly on the border, and the users are obliged to use the call signs alternatively -- one day SJ9WL and the next day LG5LG," Henryk Kotowski, SM0JHF, told ARRL. Kotowski has operated from the station in the past, and a photo he shot at Morokulien appeared on the cover of the October 1996 issue of QST. 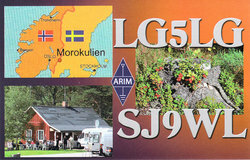 "This was a memorial station devoted to SM5WL and LA5LG," Kotowski explained. "They both promoted Amateur Radio and supported disabled hams. Swedish and Norwegian hams took over the abandoned border checkpoint house 50 years ago and made a joint club station there." He said the area is now devoted to recreation and includes a peace monument. With funds from station rentals, the association Amateur Radio in Morokulien (ARIM) maintains and manages the station, which may be the only one located on an international border in what ARIM calls a "ham state." The name Morokulien is a combination of the words for fun -- moro in Norwegian, and kul in Swedish -- plus a suffix indicating "in one place." This fall, clubs on both sides of the international border are planning a joint 50th anniversary celebration. Read more. Three radio amateurs are among the initial nine NASA astronauts scheduled to fly on commercial spacecraft to the International Space Station. Others in the group are studying for their ham licensing exams in order to take part in Amateur Radio on the International Space Station (ARISS) school radio contacts, or because they have expressed interest in supporting ARISS events. The women and men chosen will be the first to fly on one of two commercial spacecraft. SpaceX plans to fly a two-person crew -- Robert Behnken, KE5GGX, and Doug Hurley -- in Crew Dragon atop a Falcon 9 rocket from Kennedy Space Center. A Boeing CST-100 Starliner capsule on an Atlas V vehicle from Cape Canaveral will carry a three-person crew -- Eric Boe, Chris Ferguson, and Nicole Aunapa Mann, who attended an ARISS introductory talk at Johnson Space Center (JSC) and voiced interest in doing ARISS contacts in the future. Boe and Ferguson, along with Josh Cassada, Victor Glover, Michael Hopkins, KF5LJG, and Sunita Williams, KD5PLB, will also be on the commercial spacecraft on later trips following the first test flights. Behnken earned his license with help from the ARISS team at JSC in 2005. Hopkins got his license in 2011 and made ARISS school contacts in early 2014. Within the Amateur Radio community, however, he may be best known for installing the ARISS Ham Video system in 2014, shortly before wrapping up his ISS duty tour. Glover has been studying for his ham radio license at Johnson Space Center with a little mentoring from ARISS team member Kenneth Ransom, N5VHO. Cassada spoke in person to students taking part in an ARISS contact at an ISS education conference in 2016, at the time telling the ARISS team that he wanted to get his ham radio license. Williams has supported a large number of ARISS contacts on the ISS throughout her career. Read more. A New Jersey radio amateur and Military Auxiliary Radio System (MARS) member has received a Lifetime Achievement Award from President Donald Trump. ARRL Charter Life Member Dave Popkin, W2CC/AAR2BU, was recognized for his extraordinary contributions as a MARS volunteer. "On behalf of a grateful nation, I thank you for your lifetime of service to your fellow Americans and those most in need," President Trump said. 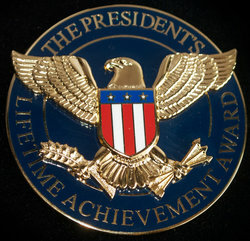 "Through at least 4,000 hours of service, you have ensured the continuation of America's unparalleled commitment to improving the lives of others. You have served as a model of the American spirit. Your many hours of service have strengthened the bonds of cooperation and trust that bring people together, while helping to address some of the greatest challenges of our time." 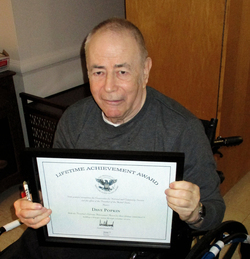 MARS Region 2 Director Carver Washburn, W2TFM/AAA2RD, said Popkin's "long and distinguished" history as a volunteer extends over 56 years with US Army MARS, averaging some 2,000 hours a year. "Dave is particularly noted for his MARS leadership roles, mentoring, and training initiatives," Washburn noted. "It all started with his inspiration and his motivation to take positive action that, to this day, has fundamentally enhanced the ability of [the Department of Defense] to achieve its goals under the most dire of circumstances, such as occurred in Puerto Rico during Hurricane Maria in September 2017." Washburn said Popkin served as net control for MARS radio nets in Region 2, and has served as MARS New Jersey State Director. Dave Popkin, W2CC, with his Presidential Lifetime Achievement Award. "Also evident were his unique talents to train and mentor these team members, substantially expanding the strength of the organization," Washburn said. "Dave made a difference in innovative ways through this role. He worked on the HQ senior staff for many years as well. Chief Army MARS Paul English and I are most grateful for his long and valued MARS service." For the second year in a row, members of the Clallam County ARES group took part in an "active shooter" training exercise. The Clallam County Sheriff's Department conducts training each year to educate as many first responders as possible in the proper techniques of conducting operations during these incidents, including neutralizing the threat, evacuating victims, reuniting families of victims, and offering counseling. Safety is a major concern during these exercises. 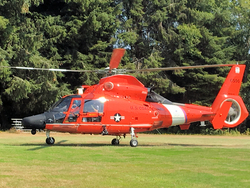 The latest exercise on August 10 included participation by corrections officers, tribal police, sheriff deputies, ambulance crews, county fire personnel, and even the US Coast Guard. ARES personnel provided communication between the instructors and locations being used so that all regular communications among the various agencies could proceed without interruption by training-related traffic. ARES establishes communication between the command instructors and all remote locations during the drill, including the hospitals, the reunification center, the emergency operations center, and other sites. During this exercise, the Coast Guard responded to pick up a victim for transport to the hospital 35 miles away. "This is a great opportunity for ARES to get more experience and training and to hopefully be more prepared for the next event, whatever it may be," said ARES Assistant Emergency Coordinator Joe Wright, KG7JWW. 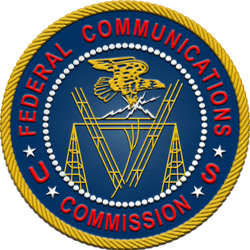 Reorganized and updated FCC Personal Radio Services (PRS) Part 95 rules have been published in The Federal Register. Among other things, the PRS covers the Family Radio Service (FRS), General Mobile Radio Service (GMRS), and the Citizens Band Radio Service (CBRS). The revised rules allot additional FRS channels and increase the power on certain FRS channels from 0.5 W to 2 W. FRS channels are in the 462.5625 - 462.7250 MHz range. Effective September 30, 2019, it will be illegal to manufacture or import handheld portable radio equipment capable of operating under FRS rules and under other licensed or licensed-by-rule services. The FCC no longer will certify FRS devices that incorporate capabilities of GMRS capabilities or of other services. Existing GMRS/FRS combination radios that operate at power levels of less than 2 W ERP will be reclassified as FRS devices; existing GMRS/FRS radios that operate above that power level will be reclassified as GMRS devices, requiring an individual license. Radios that can transmit on GMRS repeater input channels will continue to be licensed individually and not by rule. Once the new rules are effective, CBers will be allowed to contact stations outside of the FCC-imposed -- but widely disregarded -- 155.3-mile distance limit. Tad Cook, K7RA, Seattle, reports: Solar activity is still very weak -- and should get weaker, at least until 2020, when we will probably reach the bottom of Solar Cycle 24. This week's average sunspot number was 3.4, based on a sunspot number of 12 on August 14 and 15. Average solar flux edged down, from 69.7 to 68.7. Geomagnetic indicators were higher, with average daily planetary A index shifting from 5.7 to 6.9, and mid-latitude A index from 6.9 to 7.3. 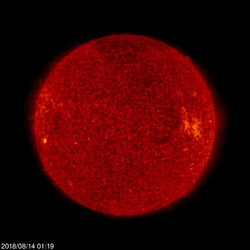 Predicted solar flux is 69 on August 16-23; 70 on August 24 - September 5; 68 on September 6-18, and 70 on September 19-29. Predicted planetary A index is 12, 15, 8, 5, 15, and 12 on August 16-21; 5 on August 22 - September 2; 12, 8, 5, 5, 10, 8, and 8 on September 3-9; 5 on September 10-11; 12, 15, 8, 5, 15, and 12 on September 12-17; 5 on September 18-28, and 8 on September 29. Sunspot numbers for August 9 were 0, 0, 0, 0, 0, 12, and 12, with a mean of 3.4. The 10.7-centimeter flux was 70.3, 69.5, 67.4, 68.1, 67.8, 68.7, and 68.8, with a mean of 68.7. Estimated planetary A indices were 5, 4, 11, 5, 5, 4, and 14, with a mean of 6.9. Estimated mid-latitude A indices were 6, 4, 11, 6, 6, 6, and 12, with a mean of 7.3. Send in your reports or propagation observations.